Albion Music is an affiliated organisation which is dedicated to publishing books on English music and poetry. Its main focus is Ralph Vaughan Williams, alongside other composers. Albion Music will be bringing back to life major books on English music which have been long out of print, as well as commissioning new books on English composers of the 20th century. Albion Music was formed in 1995 as part of the Ralph Vaughan Williams Society but is now totally independent. please visit the Albion Music website. 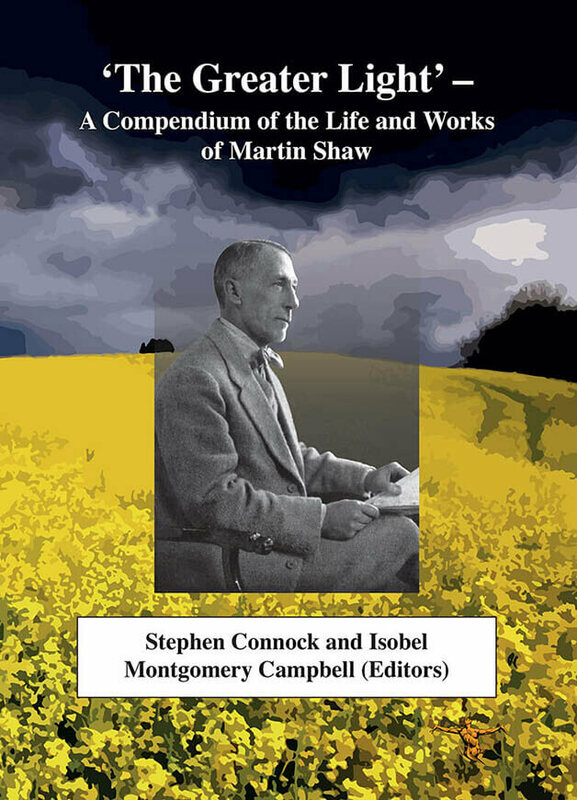 The Greater Light – A Compendium of the Life and Works of Martin Shaw, edited by Stephen Connock and Isobel Montgomery Campbell, brings back into circulation a number of important works by or about Martin Shaw that have long been unavailable but which reveal much about his life, his work and his ideas. The central contribution here is Shaw’s autobiography Up to Now, a delightfully light-hearted and understated journey through the early years of his life, working with Isadora Duncan, Edward Gordon Craig, John Masefield, John Ireland, Ralph Vaughan Williams and others. Stephen Connock began collecting detailed memories in 1996, working in close collaboration with the composer’s second wife, Ursula Vaughan Williams who gave him introductions to people such as: Simona Pakenham, Michael Kennedy, Roy Douglas, Sir David Willcocks, Ruth Gipps, Jill Balcon and Robert Armstrong. The interviews involved those who knew him as relatives, friends or musical colleagues during his long life. Most of this work was undertaken between 1996 and 2003 and, in total, there are now 67 individual recollections. 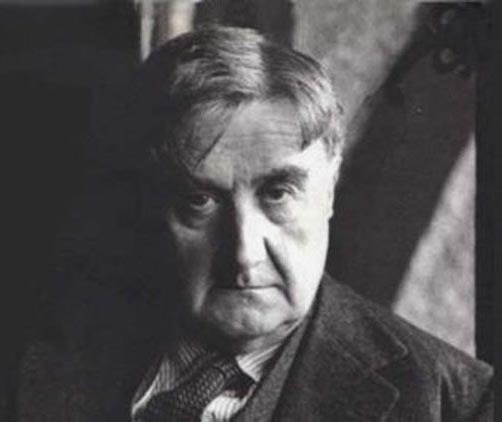 These are what Stephen calls ‘Primary Memories’ – recollections directly commissioned for his book – and 46 have been transcribed in full in Toward the Sun Rising – Ralph Vaughan Williams Remembered.To these ‘Primary Memories’ Stephen added 39 of what he calls ‘Additional Memories’, ranging from Larry Adler to Virginia Woolf. These were taken mainly from published books, magazine articles and broadcasts (UK and USA) and also from unpublished sources in the Vaughan Williams Collection at the British Library in London. These ‘Additional Memories’ are generally provided by people who had died before Stephen began his work. The book brings all this material together in a comprehensive 77 page Introduction. 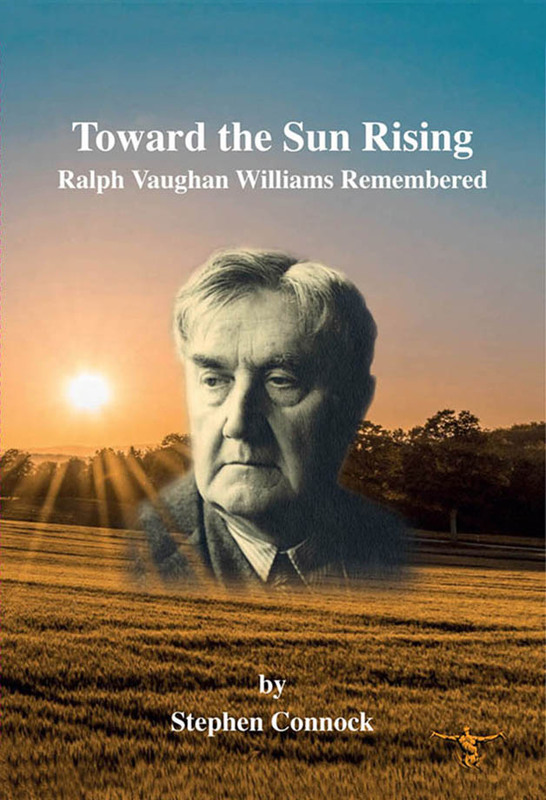 This is the first biography of Ursula Vaughan Williams (1911 – 2007), a distinguished poet, novelist and librettist and second wife of the internationally-acclaimed composer Ralph Vaughan Williams. Drawing on narratives and important insights from a fascinating collection of papers, diaries, letters and photographs that until now have been in Ursula’s family, Janet Tennant presents Ursula’s story – a journey which covers her background and early years in a peripatetic army family through to her becoming Ralph Vaughan Williams’s muse, lover and, ultimately, his inspirational second wife. 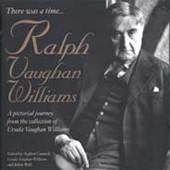 With worldwide interest in the life and music of Ralph Vaughan Williams increasing rapidly, this collection of largely unpublished photographs of the composer, his friends and family is timely. The photographs are taken from the collection of Ursula Vaughan Williams. They provide fresh insights into the composer in a way only pictures can do. By providing a section on RVW’s family and friends such as Cecil Sharp, RO Morris, Maud Karpeles and Adeline, his first wife as well as fellow composers such as Sibelius, Holst and Grainger, a rounded picture is provided of RVW’s extraordinary life. The 160- page hard-back book, edited by Julian Rushton, includes a CD recording of Stephen Connock’s on-stage interview with Richard Hickox, recorded the day before Richard’s death. Ursula Vaughan Williams began writing poetry in 1921. Her first published collection appeared in 1941 and was followed by two other books, as well as novels. Paradise Remembered, her autobiography, was published by Albion Music Ltd in 2002. In 1996 her poems were brought together in a book entilted the Collected Poems of Ursula Vaughan Williams. Given the success of that volume, Ursula allowed Stephen Connock access to a collection of unpublished poems, which he has included in this edition. The memorable short story, Fall of Leaf, is also included. Ursula Vaughan Williams’ work is distinguished by a stylish and subtle imagination and a remarkable sense of atmosphere. It owes something to Yeats and to Hardy but remains an individual voice of considerable importance in the twentieth century. In this fascinating volume, Lewis Foreman has assembled a team of experts to explore key issues, at once both enhancing enjoyment of the music and our understanding of the man. These studies, first presented at the Vaughan Williams Seminar held at the 1996 Reigate Summer Music Festival, cover a wide and varied field. They include the evolution of British music and the dissemination and reception of Vaughan Williams’s music on the one hand, and detailed studies of symphonies, the Piano Concerto, folk song collecting modality and film music on the other. The previously unknown movement of A Sea Symphony called The Steersman is printed for the first time. VW’s role as friend and teacher is illuminated with particular reference to his women pupils, and his friendship with the composer Gerald Finzi. Vaughan Williams is set in his time by the editor’s wide ranging overview. Contributors include: Jeremy Dibble, Andrew Herbert, Stephen Lloyd, Anthony Payne, Duncan Hinnels, Tony Kendall, John Huntley, Jenny Doctor and Stephen Banfield. The eleven essays in this volume on Elgar and Vaughan Williams were presented to an International Symposium held at the British Library in London on 29 – 30 March, 2003. The idea of the Symposium was to shed further light on the music of two of England’s greatest composers, using presenters who could draw the right connections between Elgar and Vaughan Williams whenever this was possible. Contributors include Michael Kennedy, Lewis Foreman, Byron Adams, Robert Anderson, Hugh Cobbe, Andrew Neill and Stephen Connock.